There are 2 reviews of Bronze Goddess Eau de Parfum. I was browsing the duty free shop looking for something to accompany me during my 11 hour flight to Miami, and this did a great job. It’s summery exotic, but not overly. It can be worn as a nice and elegant floral. What seduced me was a bitter almond note with a mix of fruit in the opening. It dissolves mostly into flower later. The opening has a discreetly summery undertone, with a soft bergamot joining a pleasant mandarin and a smooth jasmine to create a nice jasmine; the latter floral blends in nicely with the brighter notes. This is not a full-on refreshing opening though. The drydown gradually introduces sweeter components, with frangipani is combined with coconut and a well-intergrated vanilla impression; here a subtle backgound aroma is noticeable that reminds me of some of the Piz Buin sunscreens; memories of the sunscreen in the air when walking along the seashore in summer come to mind. At times whiffs of a very lean and contemporary powderiness can also be noted. A pleasant summery beach-evoking scent; in the tradition of Bond No.9’s Fire Island and the likes. A bit dull at times but overall very agreeable. 3/5. 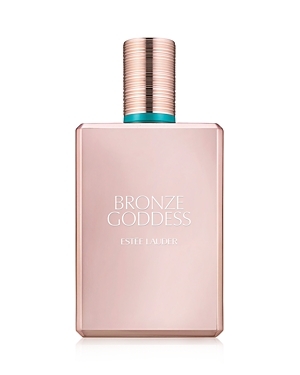 Estee Lauder Bronze Goddess Eau de Parfum 1.7 oz. There are no member images of Bronze Goddess Eau de Parfum yet. Why not be the first?